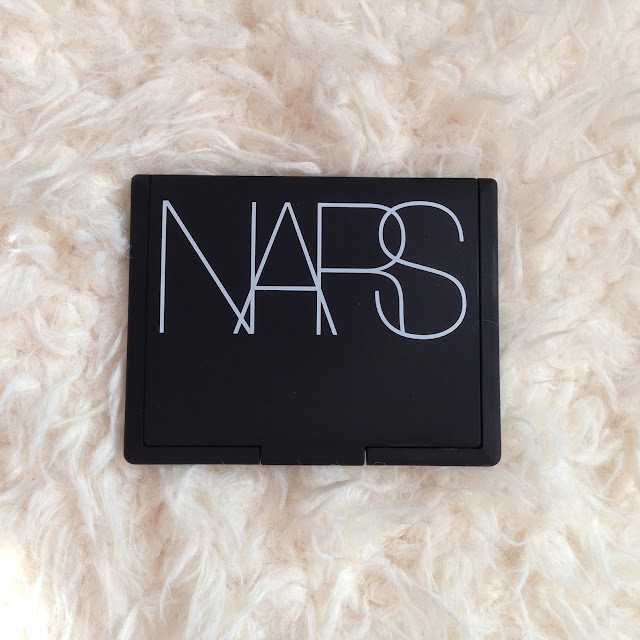 Of course you have probably all heard about the Nars Laguna Bronzer. Well, I hadn’t until maybe 2 months ago, when after watching a number of blogs I started to notice a pattern. 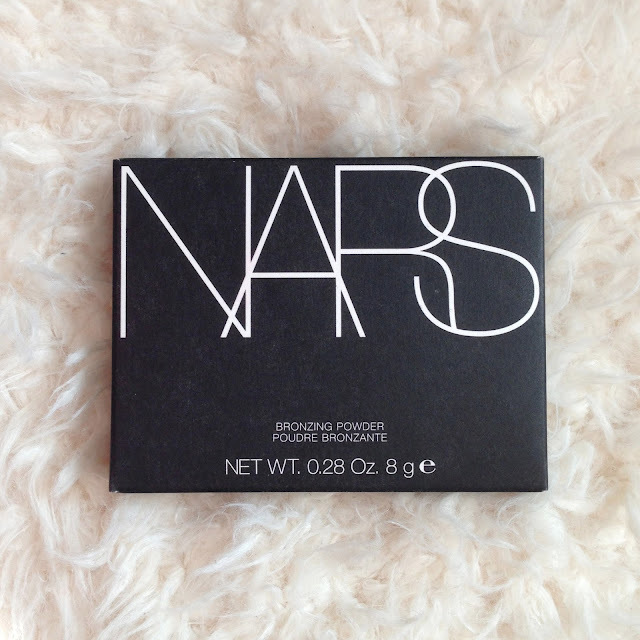 I bought mine from ASOS who have brilliantly started to stock Nars products, so with a cheeky bit of student discount it came to £21.60 instead of £24 at the counter. I think it is definitely worth it for the price. I can tell it will last me months and months, as because of how dark the shade is, I literally sweep my face brush over the palette and quickly brush it over my forehead, nose and cheekbones. For a night out, I might apply a few more sweeps and build up the shade. 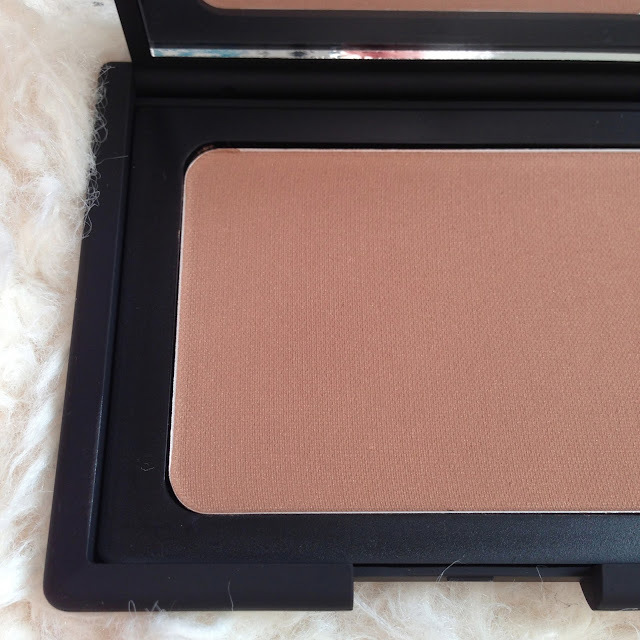 I also use a smaller contour brush to shade it into the hollows of my cheeks for which it works perfectly. 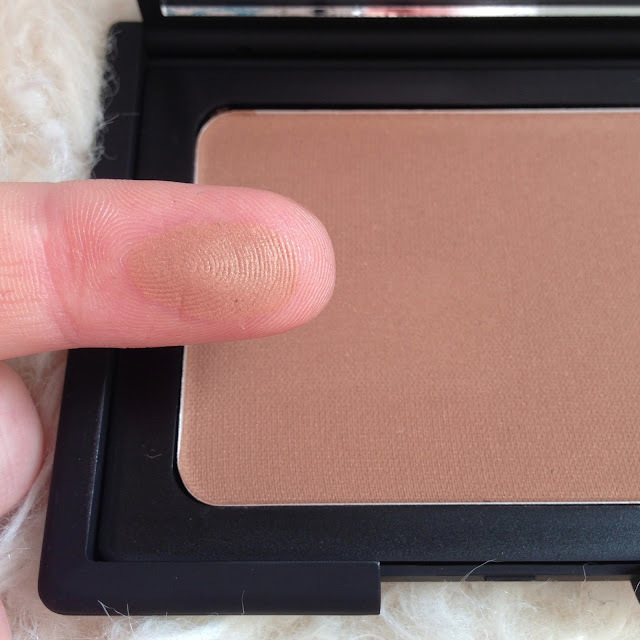 It is not entirely matte but contains a subtle golden shimmer that you can see in the swatch above. 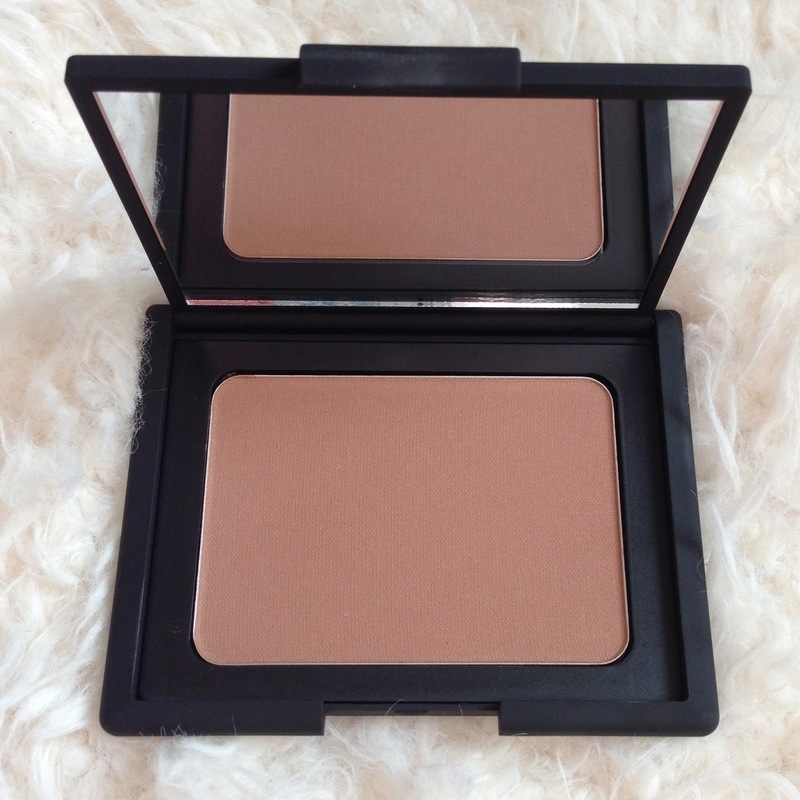 I find it works well for both daytime and nighttime looks depending on how much you choose to apply. Plus the packaging and the mirror inside make the compact gorgeous. 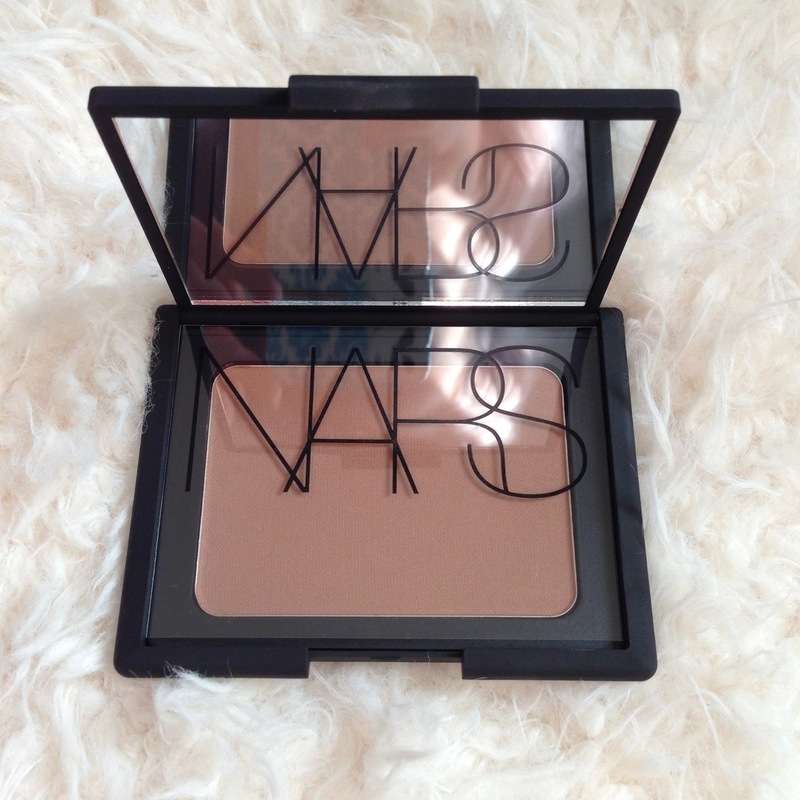 I will definitely be purchasing this bronzer again. I recommend it even to those with pale skin like myself!